Put on a work shirt that leaves you feeling comfortable and protected...you need a men's tee that meets your personal style and keeps you warm. That's why we suggest you equip yourself with the Timberland Pro Men's TB0A112J 015 Black Understory Fleece 1/4 Zip Long- ... (see full details) (see specifications) #TB0A112J015. Put on a work shirt that leaves you feeling comfortable and protected...you need a men's tee that meets your personal style and keeps you warm. That's why we suggest you equip yourself with the Timberland Pro Men's TB0A112J 015 Black Understory Fleece 1/4 Zip Long-Sleeve Shirt - because you only deserve the best in men's workwear. Crafted with 100% pill-resistant polyester fleece, this Timberland Pro shirt offers you lightweight and breathable comfort. This black shirt has a classic fit with a quarter-zip style that keeps you cozy without all of the extra bulk a work coat or winter jacket adds. It features a stand-up collar and chin guard provide extra protection from the elements, and there are integrated thumb holes and drop tail for full coverage. This long-sleeve shirt is designed to fit well with a chest that's 45 inches, and the back length from high point of the shoulder that's 31.5 inches. 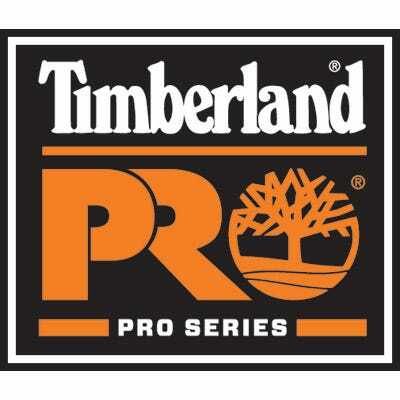 In order to keep this Timberland Pro workwear exceptionally durable, simply machine wash in cold and tumble dry. Use only non-chlorine bleach and wash it with similar colors to get the best results. You only need top quality because you know anything less won’t meet your work and life demands. That's why Working Person’s Store offers you this Timberland Pro Men's TB0A112J 015 Black Understory Fleece 1/4 Zip Long-Sleeve Shirt. Go ahead and add one of these premium tees to your cart today! This pullover is just the right weight for me when temperatures are in the 50-60 range. This is the first Timberland PRO workwear item I've ordered and I am glad that I did since I'm happy with the fit and the materials. I would definitely recommend The Working Person's Store and working with Patricia has been great. Even though I am just know getting things setup with the company Patricia has made it very easy. I am excited and looking forward to working with The Working Persons Store and with Patricia in the future. Timberland Pro Shirts: Men's TB0A112J 015 Black Understory Fleece 1/4 Zip Long-Sleeve Shirt is being added to your cart.